Well trained dog-handler teams have successfully been used for conservation for more than 40 years. New Zealand was the first country to use dogs to benefit conservation as far back as the 1890s. helping monitor kiwi, blue duck/whio and kea on the West Coast. pest species (eg rodents, stoats, Argentine ants, weeds) that would destroy our native wildlife in pest-free areas. 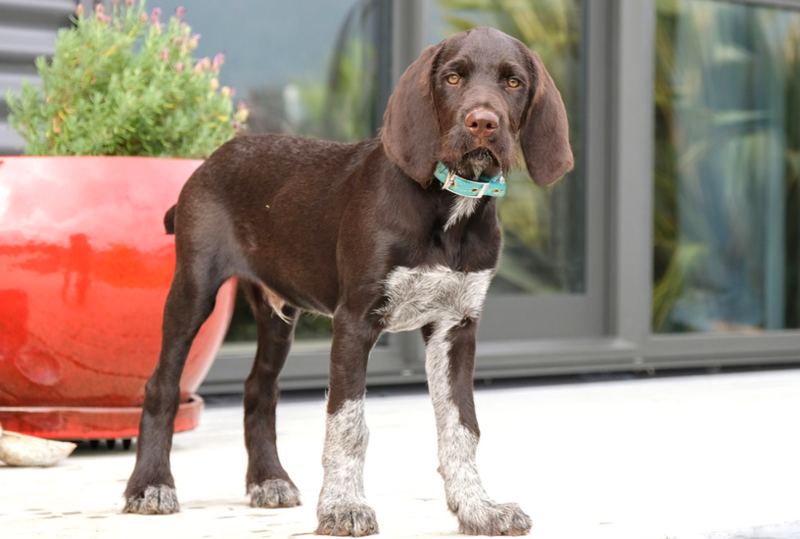 Certain dog breeds are more suited for this work – pointers are often used to find protected species, while terriers are usually used to find pests. Dogs can pose a serious risk to protected species if they are not trained and handled correctly. In September 2016, Kiwibank joined forces with DOC to support the Conservation Dogs Programme. In its first year, the partnership funded two full-time dog-handlers and an advocacy programme. Now into its second year, the partnership has added four full-time dog handlers and recruited some puppies which will strengthen our biosecurity programme via enhanced quarantine and surveillance of our pest-free islands and high-risk biodiversity locations. The ongoing investment by Kiwibank will support the transition of the Programme from its pilot phase to a stronger, more strategic footing. It will also significantly boost the advocacy programme, leading to greater awareness and protection of our pest-free islands and predator free sanctuaries. Globally, New Zealand is considered a leader in pest eradication programmes. Conservation dogs are a key tool in these programmes. We have helped Australia use conservation dogs to find feral cats and rodents, and have supplied dogs to Japan to find mongooses. A dog-handler team is certified to detect either protected species or unwanted pests. It takes around 18 months of daily training to become certified. Once certified they will still need to train several times a week for the duration of the dog’s working life (up to 10 years). To train a safe and successful dog, handlers must have experience of working with the target protected or pest species and dog-handling and training experience. are looking for pests in areas where there are protected species. Find out more about the programme processes and operating procedures. Avian awareness and avoidance training for dogs and their owners – teaches dogs to avoid ground-dwelling native birds. National standards and procedures must be followed by dog-handler teams and relevant project managers who require a dog-handler team. Meet Falco, one of the newest members of the Conservation Dog Programme, aiming to become a fully certified protected species dog.